President Barack Obama promised Friday to veto new Iran sanctions under consideration in the Republican-controlled Congress, even though new sanctions enjoy the support of senior Democrats who are concerned that the current talks with Iran are only allowing the Tehran regime to continue its nuclear ambitions. Asked by ABC News’ Jonathan Karl why he would veto sanctions that would only take effect if talks fail, Obama said that the gesture alone would push Iran away. In addition, Obama claimed: “What was remarkable was that when I came into office, the world was divided around this issue. Iran was united. Through some very strong diplomatic work, we united the world and isolated Iran.” Obama also claimed: “The agreement has held and negotiations have been serious. We have not lost ground. Iran has not accelerated its program during the time these negotiations have taken place.” All of those claims, however, are false–and dangerously so. The world was not divided over Iran when Obama came to office. It was remarkably united by several near-unanimous UN Security Council resolutions that banned any nuclear enrichment by Iran. In fact, it was Obama’s insistence on reinventing the diplomatic wheel, and resetting talks on terms more favorable to Iran, that created disunity and impatience, especially among our European allies. And far from pushing for sanctions, Obama discouraged them–even prior to the current talks. Furthermore, as Obama well knows, Iran has been violating the interim nuclear agreement, which has been extended twice. It has expanded its nuclear program to include two new reactors inside Iran and one new facility in Syria, where it is also helping the Assad regime install new missiles. It has, as skeptics predicted, used the agreement to gain leverage and time. 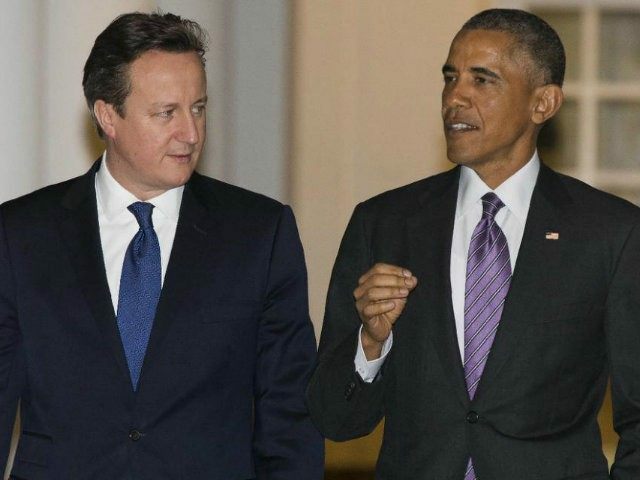 Obama’s veto threat echoes one he made last year–and was backed by British Prime Minister David Cameron, standing next to Obama, who shared his opposition to sanctions. Yet it is becoming increasingly clear that the talks seek peace at any price, not an actual reversal of Iran’s nuclear program, or even full disclosure about its current and former nuclear activity. If Obama were a more creative diplomat and a more effective leader, he would regard new sanctions as an asset, a way of pressuring Iran and showing the regime he has no more room for compromise. He is either incompetent, or unconcerned.